Mr. Dalton was the superintendent for Garfield County Schools for over five years. The posts below give you a great historical perspective of the challenges and opportunities that the district faced during his tenure. 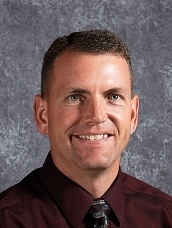 After a successful tenure at Garfield County Schools, Mr. Dalton took a superintendent's position at the neighboring Kane School District.